What’s even more fun than a day out at carnival? 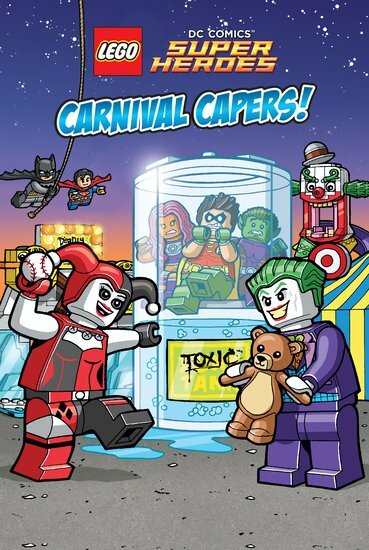 A heroic carnival showdown with the mighty Justice League! All the fun of a great day out – plus battles, action and thrills! (And some cool reading practice.) Batman is treating Robin, Beast Boy and Starfire to a day at the new Gotham City Carnival. Little do they know that the carnival is a giant trap set by the Joker and his wicked friends. Soon our heroes are caught up in a maze of music, dancing – and evil! Can Aquaman, Batman and the Justice League save the day?